Flowering Season: Summer, Fall. 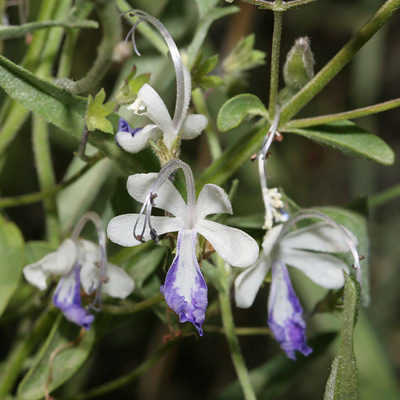 This graceful wildflower blooms from July to October. Description: The flowers are in loose, axillary clusters. 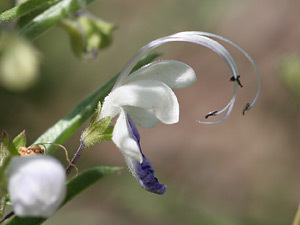 The individual flowers have 5 lobes and an arc of 4 curling stamens that are up to 1 inch (2.5 cm) long. The lowest flower lobe is dark violet-blue with ruffled edges, while the other 4 lobes are white. The leaves are small, green, opposite, and oblong to ovate in shape.